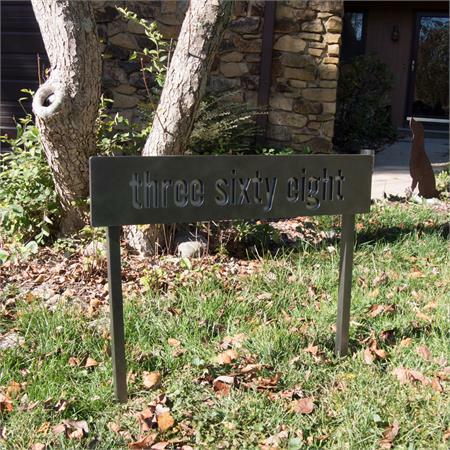 29" X 6" in solid 3/8" powder coated aluminum with a stainless steel back plate. Old Iron is shown isn photos. 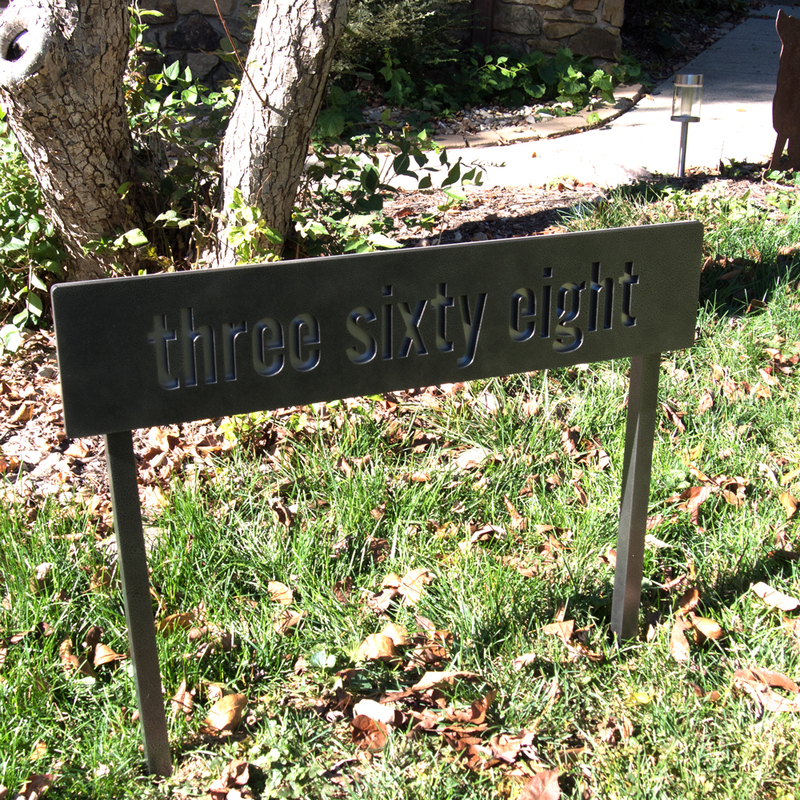 Choose from 18" (18" from bottom of sign to tip) or 28" (28" from bottom of sign to tip) 1" square powder coated aluminum ground stakes. 28" stakes are shown in the photos--13" in-ground, 15" above ground. For up to 20 characters including spaces. Font style for this sign is all in lower case letters only. 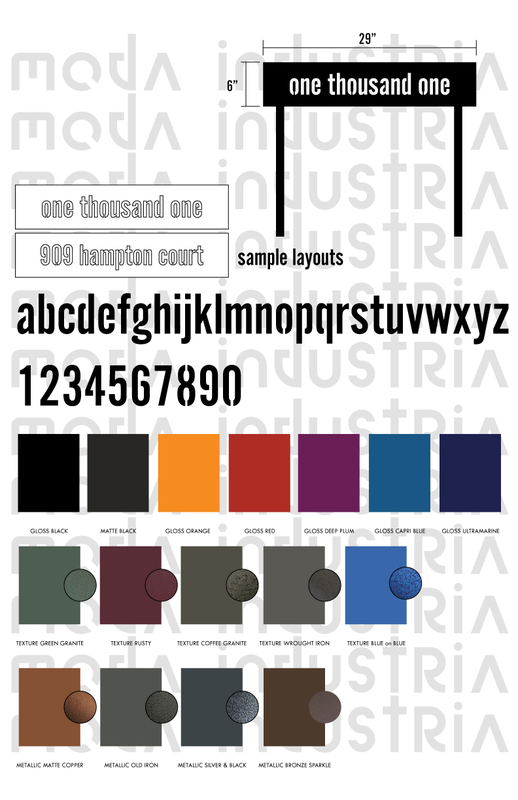 See attached chart for color descriptions and font style. This ships to Contiguous U.S. and Canada only.